Read on to find out more about Malaysia My Second Home and whether you qualify for it! 1) Do I need Malaysia My Second Home to purchase a property in Malaysia? No, you don’t. Not unless you want to benefit from the lower purchase threshold on properties in certain states. Foreigners can purchase property subject to the land/property guideline of the state in which the property is located without MM2H. 2) How do I qualify for Malaysia My Second Home if I’m under 50 years of age? You need to demonstrate that you have the means. This is basically a financial requirement. the cash equivalent of RM500,000/- anywhere in the world. For avoidance of doubt, this means a fixed deposit, current or savings account and not shares or bonds. b) After you receive the letter of approval, you must place RM300,000/- into a fixed deposit account in a Malaysian bank. This money needs to remain in the account for the duration of your permit. Once the money has been transferred, you can get your MM2H approval stamp in your passport. If you fully own a house or apartment in Malaysia worth RM1,000,000/- or above with no mortgage, the fixed deposit can be reduced to RM150,000/-. 3) How do I qualify for Malaysia My Second Home if I am over 50 years of age? the cash equivalent of RM350,000/- anywhere in the world. For avoidance of doubt, this means a fixed deposit, current or savings account and not shares or bonds. b) After you receive the letter of approval, you must place RM150,000/- into a fixed deposit account in a Malaysian bank. This money needs to remain in the account for the duration of your permit. Once the money has been transferred, you can get your MM2H approval stamp in your passport. If you fully own a house or apartment in Malaysia worth RM1,000,000/- or above with no mortgage, the fixed deposit can be reduced to RM100,000/-. 4) Can I withdraw the fixed deposit under Malaysia My Second Home lien? As a general rule, the fixed deposit should not be withdrawn until the termination of the MM2H permit. However, one year from the approval date, part of the deposit may be withdrawn if it is for medical expenses, your children’s education, or for the purchase or reimbursement of a house. Individuals under 50 years of age can withdraw up to RM150,000/- and individuals over 50 years of age can withdraw up to RM50,000/-. 5) How long does the Malaysia My Second Home application process take? Upon the submission of a complete application, a decision is given in approximately 4 to 5 months. 6) What are the benefits of Malaysia My Second Home? There are multiple benefits for the Malaysia My Second Home programme. You will have permission to remain in Malaysia for up to 10 years. This includes multiple entries. However, please note that this duration is restricted by the expiry date on your passport. Once you have renewed your passport, you will be able to have the remainder of your MM2H term endorsed on it. Dependants such as your spouse, parents (over 60 years) and children (under 21 years) can accompany you. Land and property are governed by individual states. In general, foreigners are restricted to owning certain types of properties at certain price levels. On the island of Penang, for example, foreigners can only purchase apartments and houses above RM1,000,000/- and RM2,000,000/- and above respectively. In contast, MM2H holders can purchase up to two residential houses (excluding commercial properties and shophouses) or apartments at the lower threshold of RM500,000/-. You can employ a foreign maid, subject to the current immigration guidelines on maids. 7) What happens when a Malaysia My Second Home participant passes away? If a MM2H participant passes away and his/her spouse wishes to stay in Malaysia, they must apply to the MM2H department and request to be named as the main participant. The fixed deposit must also be changed into his/her name upon approval. Depending on the dispositions in the participant’s will, the spouse may be required to show financial evidence that he/she has the means to continue under the MM2H programme. If the spouse does not intend to stay in the country, then the executor or administrator can request to have the MM2H visa terminated. Two letters will then be issued – one to the immigration authorities and one to the bank, asking to release the fixed deposit. Of course, having a Malaysian will helps this process along immensely. I have heard through the grapevine that the MM2H department is considering increasing the financial requirements for MM2H to RM600,000/- regardless of age. Fixed deposit requirements may also increase to RM500,000/-, and there may be submission charges and increase in levies per year for the MM2H visa. Changes, if approved, are predicted to apply in around six months’ time. I do urge those of you who are considering MM2H to apply earlier rather than later. Got more questions? Feel free to share your thoughts in the comments. I’d love to hear from you! MM Eligibility The MM2H programme is open to all countries recognised by Malaysia but the programme has numerous requirements. Thanks for the clarifying question. I am assuming that you are under 50 yrs old. Please advise if that’s not the case as the thresholds are different. The requirements are divided into pre-approval and post approval. Prior to the approval, when you submit the application, you need to show that you have the equivalent of RM500,000/- (in cash in a current account or foxed deposit anywhere in the world) on top of the monthly RM10,000/- (anywhere in the world). After approval, we need to then deposit RM300,000/- into a bank account in Malaysia. Hope that clarifies! I am over 50, from Bangladesh. I have the last three months (and years preceding that) 10000 PM salary and the 350000 RM in banks. The problem is, from Bangladesh, it is difficult to transfer fund ex-Bangladesh unless for business. Please advise. This is a great question but it’s also a difficult one for me to answer because my area of practice centres around Malaysia My Second Home and other immigration matters pertaining to Malaysia. Although the Taka is freely convertible I believe the Foreign Exchange Regulation Act 1947 which is also referred to as the FERA is very restrictive on Bangladeshis bringing out funds earned within the country for investment abroad. Your best bet is to chat with a good financial consultant or accountant in Bangladesh. That said, Bangladeshis are one of the top holders of Malaysia My Second Home which is understandable seeing that there is a lot of shared values and culture. I have had the privilege of visiting Dhaka & Chittagong and I immediately felt at home in both cities! I wonder if you could email me at Sam@ckylegal.com and I’ll see if I can be of some help. As it seems we need to wait for 4-5 months for approval, Can I retire after 3 months later or I must wait until I get visa approval first. iv) With the fixed deposit certificate, the health check & the letter of approval, you will then need to submit your passport for the approval to be stamped onto your passport (you will at this stage need to be in Malaysia). Hope that helps! Please feel free to ask if I have not answered your question correctly. PS. As mentioned in my previous answer to Sven, do think about putting in your application soon. Have you heard any news regarding increasing of financial requirements for Mm2H? I am 57 and planning to move Malaysia next summer. That’s a very timely question. My colleague spoke to someone quite high up at the immigration department a few months ago and he mentioned there is a recommendation to the decision makers at MM2H for the financial threshold to be increased. We are monitoring this closely and one of my MM2H associates who runs down to Putra Jaya (Immigration Headquarters) weekly is telling us this will be imposed soon. In fact, the tax free car incentive will be withdrawn from 1st January 2018 onwards. So you see the trend. We’re therefore advising people who are keen to apply to do so ASAP. Since you’re planning to move to Malaysia next year perhaps you could consider putting in your application this year. Does this mean that once the application is submitted, the current terms and conditions apply? I am very interested in applying with my wife and have been researching MM2H for the past 4 months. It seems like the right retirement programme for my wife and I. I have even completed the stacks of forms! Can you please advise on this as it’s a very important aspect for us? 1) I believe you are referring to the anticipated increase in the financial threshold. I can’t be sure whether there will be retrospective effect although I believe you should be “grand fathered” if the approval is before the new financial guidelines. The best advice would be to make the application as soon as possible. 2) Please be mindful that MM2H recently introduced an online form generation system. If you submit the old forms it may or may not be processed and the application may be delayed at this critical time when everyone is trying to get their approvals prior to the anticipated revision. Hi Sam, are MM2H holders allowed to study at Malaysian universities, e.g., do a masters or PhD program? What about at private schools like Cordon Blue or at a Malay language school? I’ve only seen info on education for children and dependents. Thanks! Interesting question! I believe there’s no restriction for the main applicant to attend such courses. You can’t work but I see no reason why you can’t attend classes provided the institutions are happy to accept you. Hope that helps! Thanks Sam, on further digging I was told by the government that I’d have to change to a Student Pass and give up my MM2H if I wanted to study at a university, but that studying Malay or short courses like cooking are OK on the MM2H. Thanks again! I am planning to move to Malaysia via MM2H programme. My wife is now pregnant and the expected due date is in January 2018. I noticed some benefit (e.g. tax free car incentive) is going to discontinued and not sure if other conditions are going to change. What’s your suggestion about the MM2H application? Is it more reasonable to apply in next year? or I can add new family members into the MM2H visa during the pre-approval stage? Yes, there are a few changes to the conditions (estimated by end of 2017) to the Malaysia My Second Home (MM2H) programme, the financial requirements are going to increase. I presume that you are under 50 yrs old and as such, they are increasing the financial requirement from RM500,000 to RM600,000. Subsequently, the FD to be place after approval will be increased to RM500,000 instead of RM300,000 currently. In respect of the future addition to your family (congratulations in advance), yes, you may add new dependents, but only after you have obtained your approval. We, of course, would advise that you apply now, in order to be able to submit with lower financial requirements. My colleagues email to you some information on Monday. Hi – i am currently retired at 66 and have liquid capital in excess of the threshold by a lot but my income from government sources is less than 10000rm per month. is there anyway around this issue? Great clarifying question. If i may ask, do you have any other source of income that we can add on to this government sourced income? For instance, regular income from other investments such as fixed or time deposits interest, share dividend, REITS, property rental etc? Or annuities/insurance paid annually which we can show the immigration which can be averaged out over the year on a monthly basis. Hope that helps. You’re welcome to chat direct with me at Sam@ckylegal.com if you like. Again, please bear in mind the possible increase in the financial thresholds which is expected shortly. My wife and I are planning to move to Malaysia on MM2H. As a married couple is that one application or two, also for the financial bond one of us is older than 50 and one younger than 50 so how does the financial bond get calculated? As a married couple, you would be the main applicant, and your wife can come in as your dependent (or vice versa). Presumably, the one older than 50 years old would be the main applicant, for the benefit of the lower financial threshold. The financial bond depends on your nationality, the amount differs. My colleagues will drop you an email soon with more detailed information on MM2H. We have heard that the financial requirement thresholds are increasing very soon, so we urge you to apply soonest you can. Do you know if the MM2H program discriminate against ex-Malaysians? Thanks. We’ve actually succesfully help former Malaysians apply for MM2H so I would say there’s no problems. Hope that helps. My husband and I are planning on applying for the mm2h visa once our youngest finishes high school in a couple of years and buy a condo in Penang so we can winter in Malaysia. In the meantime, the family back home (Perak) is urging us to purchase the family property ($90,000 Malaysian ringgit). My question is, if we paid the purchased amount, what are the chances that we can have the deed transferred to our names once we get our visa in 2 years? Is there a minimum amount for the properties that we want to purchase in Penang and Perak? Some technical questions. Land laws are regulated mainly by the respective state where the property is located. As for Perak, I am assuming that you are NOT Malaysian so the minimum price threshold is RM350,000-00 and above for MM2H visa holders as opposed to RM 1 million for non–MM2H visa holders. So the answer is No, you won’t be able to register that property in your name. As for Penang, the minimum price for foreigners is RM500,000-00 and above (maximum 2 units) for MM2H visa holders as opposed to RM 1 million for strata title and RM 3 million for landed property for non-MM2H visa holders. In the meantime, we are made to understand that the financial threshold for qualifying for MM2H is about to increase so you may wish to start your application soon to avoid this threshold increase. My husband and I are both below 50 years and our source of income is through investments. We don’t have a regular monthly paycheck but we do have enough money for the investment. Do we qualify to apply? Absolutely, you can rent. MM2H, in a nutshell, is a visa for people who wish to live in Malaysia long term. It has very little to do with property purchase. In some states like Penang, Perak & East Malaysia it lowers the financial threshold for purchase of property by foreigners. Hope that helps. As usual, may I remind you to submit your application soon before the anticipated tightening of conditions. Thank you very much providing important information regarding MM2H through your website. I am keen to move to Malaysia with my wife and kids but just not sure which route to take. Do you or your colleagues only provide support in terms of MM2H or you can provide information regarding work permits or other means ( such as investor visa’s if any ) in Malaysia? Please let me know. Glad you find the information helpful. The area of practice of my law firm includes corporate & commercial advice along with immigration, so absolutely we can advise you on other methods of staying in Malaysia. Malaysia My Second Home or MM2H is not the only means of staying in Malaysia although it is quite popular because it suits the circumstances of a lot of people. There are other means although it depends on your needs and your qualifications. We’re celebrating Deepavali in Malaysia today & my team is on leave. So, off the cuff, I am not aware that Malaysia offer schemes such as those available in Australia, Portugal or Singapore where for a large amount of investment placed in these jurisdictions, the investor is granted a investors visa or a PR. PR or permanent residence status in Malaysia is highly difficult to obtain. Nonetheless, if you drop me a message at my work email (sam@ckylegal.com) we can explore the possibilities. I work for an Australian Government fire service and will be taking a pension from my superannuation provider. Does that allow me to qualify under the Government pension rule for MM2H? It depends whether you are asking to utilise this pension as the RM10,000 income pre-approval or as the RM150,000 Fixed Deposit pledge post-approval. For the Australian Government pension to be utilised to qualify for the RM10,000 income, yes it can be utilised to show income, you would have to support the bank statement with a letter from the Australian Government stating that this pension is from the Government. For the pension to be utilised in replacement of the RM150,000 FD pledge post approval, beginning May this year, our MM2H department has removed this option and as such, even while receiving a Government pension of RM10,000 or more, you would still be required to pledge the RM150,000 FD in a bank in Malaysia. Hope the above clarifies. You may email me at sam@ckylegal.com if you would like further clarification. Hi Sam, I am an over 50 years U.S. banker and have been a fan of MM2H for many years. Although I have another 5 years to retire, I am eagerly waiting to apply for the program and as part of that process planning to visit KUL in next few months. Would it be a good idea and will you be available for a face to face chat on this while I am in KUL? Absolutely Mohammad. Drop me an email closer to the time. Look forward. i am 65 years of age and have business in UAE since 21 years ,and i am interested in MM2H . i am a pakistani passport holder. My business will continue in UAE ,being looked after by my sons. kindly inform me the detail requirements and expencess and another charges for this to start the formalities. Thanks for your enquiry! You will be contacted by my team shortly. A. MM2H doesn’t allow full time employment although if you have skills which are not readily available amongst Malaysians, you can apply for part time work. This is a separate application from the MM2H visa application. B. As for the studies of your children, they can apply to the university and if accepted, a student pass can be applied for. C. You can start a company and be a shareholder and a non executive director. The work has to be carried out by Malaysians or foreigners with the relevant work permit. D. You will not be able to avail yourself of the benefits provided to Malaysians. However, you can still go to the local hospitals except you will not be charged as a Malaysian. By the way, as a pre-requisite for MM2H application, you will need to have insurance so you will have the coverage you buy. Hi Sam. If I enter Malaysia on a business visa and then wish to transfer to MM2H is it possible if so what is the procedure. thanks. Can you let us know what you mean by a business visa? Do you have an employment pass applied for you by a company in Malaysia? If so, yes you may but you need to terminate the employment pass prior to applying for the MM2H. If you need the details, please email me at Sam@ckylegal.com. I am less than 50y. I want to apply for MM2H visa but I am planning to get married next year. What does it take for my future wife to join me? is it easy for her to join me? will it take time ? My second question. Is that when and if I get the approval, is there a deadline where i have to make a deposit and move to Malaysia? If you are getting married next year, could you please clarify if you are intending to bring your current fiancee to join you now during your MM2H submission, or if you are intending to bring her to join you under the MM2H programme next year upon your marriage registered? My colleagues will send you an email reply to clarify further on this. In respect of your second question, the deadline is 6 months from your approval date to place a fixed deposit and come into Malaysia for endorsement of your passport, but you would have the freedom to decide when you would like to move to Malaysia. I’m keen to move to Penang and set up a tourism company which would bring in business and employ local Malaysians. What would be the best way for me to do this please? Thanks for the question. I think this is a great question because a lot of people moving here still want to be active in business. There seems to be two parts to your question. The first is setting up the company and getting a licence for it to operate as a tourism company and the second is getting you the correct permit to stay in Malaysia. Firstly, the tourism business is regulated by the Ministry of Tourism (Surprise, surprise!). Their guidelines allow a foreign company (with a 5 year track record in their home country to set up and wholly own a Malaysian incorporated company and get it licenced for inbound tours only. The paid up capital has to be at least RM1,500,000/-. There are, of course, more conditions so this is the summarised version. Secondly, you need to think about how you stay in Malaysia. Malaysia My Second Home allows you to remain for a 10 year duration but doesn’t really allow you to work so you will, as you said, need to employ Malaysians to do the work. An employment pass allows you to work in the company set up but this is only for a 2 year duration but renewable. The company applying for the employment pass, however, has to have been set up and running for some time before an employment pass can be applied for. Can the MM2H participant study full time for a University degree in Malaysia. If not, what about part time study. As far as I know this is a grey area. If you rock up to the Immigration department, which we have done, they will either give you an unclear reply or say you need to exchange your MM2H for a student pass. I’m happy to give you some other suggestions if you email me privately at Sam@ckylegal.com. Your question is very timely. Recently, the immigration department at Penang Airport has been very strict on foreigners coming in and out on tourist visas. Very often, one assumes that a British or American visitor comes in and are entitled to 3 months stay. Or that a Singaporean comes into Malaysia and they are entitled to 30 days stay in Malaysia. Following from this, one then assumes that these visitors are permitted to stay till the end of the duration stamped on their passport, leave the country and come in soon after and expect to be allowed back into Malaysia for the same period as before. In practice, one needs to know that the Immigration authorities wield a degree of influence and they are entitled to exercise their discretion by not permitting these foreigners back in if there are grounds to think there is “wrong doing”. Practically speaking, it is very difficult to question the exercise of discretion by the immigration authorities. The above sets the context for my answer to your question! Having an expensive property does not give the foreigner any rights to come in and out in the eyes of the immigration department. Having a property over RM1,000,000/- does entitle the successful MM2H applicant to a reduced fixed deposit. Similarly, to own a property in Ipoh, you don’t need to have MM2H. Foreigners wanting to purchase a property in Malaysia need to ensure that the property is available to foreigners (eg. Some states like Selangor don’t allow foreigners to own landed properties and most states restrict foreigners from owning low cost or agriculture land). Finally, MM2H applicants don’t need to own property to apply for the MM2H pass. MM2H participants can rent. Hope that answers your question, Kok Seng! I plan on applying for the mm2h program in January or Feb 2018, I wanted to import my car tax free from my country to Malaysia. Is that still allowed by the mm2h program? There has been an extension for the application for tax waiver to buy a new car locally assembled in Malaysia or for the importation of the applicant’s car into Malaysia up till 31st December 2018, provided the MM2H approval is obtained before the end of 2017. The bad news is you’re too late to apply for a waiver through Malaysia My Second Home (MM2H). The good news is, if you still want to apply to bring in your car and it’s several years old, the tax might be fairly low and you probably can still do so. If you need the details on this, drop me a note at Sam@ckylegal.com. I am preparing my MM2H application and going to submit it by end Feb 2018. I am concerned about possible plans to increase the fixed deposit to RM 500 000 for all (below or above 50 years old). Have you got any latest news on that? On the other hand, I also plan to purchase a property in Malaysia. If I do not get a MM2H social visit visa, will I be allowed to stay in a self-owned property in Malaysia on tourist visa? Are there better ways for foreigners to stay in their self-owned property in Malaysia? If you’ve been following my recent blogs, the government has made some ‘U turns’ or concessions. Unfortunately, I am made to understand that the increased in the financial threshold is still going to be implemented. Hopefully, later than sooner. As for other ways of staying in Malaysia, there are other options but it depends on your circumstances. I shall ask one of my colleagues to message you privately on this. I hope the new financial threshold will not be in force when they process my application. I am a 65-year U.S. national, but born in Malaysia. I have just retired from U.S. Federal Government service. I have financial assets in Retirement Savings and 401k accounts in excess of $1.4 Million USD, and I am a full owner of a residential property in Malaysia with initial worth of $2.4 Million RM. Will I meet the financial threshold requirements for MM2H program application? I am looking at mm2h but in Sarawak, the increases you talk about is Sarawak included? Also is it ok to build a house here as my partner has family land ? Please see our reply to your MM2H enquiry in your other comment. As for your question on building a house, this would depend on who owns the land. Land law in Malaysia is generally governed by the respective states where the land is located. It would be advisable for you to verify the details with a law firm based in Sarawak. If you require a law firm, please write to me at sam@ckylegal.com and I shall be happy to refer one to you. I am an Indian Citizen, Currently working in Singapore holding workpermit as well. I would like to Buy a house in johor costs RM 600,000 With a help of monthly loan supported from developer and bank in malaysia. 1. Once I have signed the Agreement purchase property then immediately i can apply MM2H VIsa. 2. Even under loan installment also, I have to show my fixed deposit? 3. For MM2H VIsa (the property should be >1million or it can be <1million? Thanks for the questions. Can I just say that you do not need MM2H to own a house in Johor. Similarly, you also do not need to own a property in order to apply for MM2H. 2) how much cash on hand do you have currently? The loan does not make a difference to your application. 3) are you trying to use the property to bring down your required financial threshold (it does not make a difference if you’re applying for MM2H whether you own a property or not with or without a loan in Malaysia)? Once you own a property in Malaysia above RM1million fully paid up by yourself, the fixed deposit to be placed after MM2H approval can be reduced in the second year onwards (whereby the amount depends on your age). Hi… I am above 50 years old. I realize that the requirements are the cash equivalent of RM350,000 and income of RM10,000/- per month . I know upon approval I have to put RM150,000 in a fixed deposit acconut and I will be granted 5 years visa. My question is … do I have to show that I have RM10,000 monthly income when I want to renewmy visa after 5 years? Thank you so much in advanced. Once you have your MM2H visa approved, you will be granted a 10 year visa. We are not sure why you mentioned a 5 year visa. Could this be because your passport has got 5 years to run? If so, upon the expiry of your passport, you should be able to have the rest of your MM2H tenure endorsed into your new passport. Upon the expiry of the said 10 years tenure, the MM2H exco committee will review the renewal and it will be based on their discretion as to whether they will require the monthly income. Do you know if the MM2H changes are also changing in Sarawak, as I am planning to start my visa application in 12 months time. Sarawak’s MM2H is governed by a different set of guidelines. As far as we know, this rumoured threshold increment does not cover Sarawak. Hope that helps! Hello Sam, how are you doing? My husband and I are under 50 years old and we have a daughter who’s 21 years old. Since my daughter is 21 yrs old, she couldnt be come under my dependency. Therefore, how do i apply for her? Moreover, I am also aware of the fact that we cannot work under the scheme. Is there any other way for my daughter to stay in Malaysia and can be able to work in Malaysia as well? Interesting questions! Looks like the best way to apply for your daughter to come into Malaysia and work is through an employment pass. She should have skills us Malaysians don’t have to qualify for the said pass. There are a few more criterias which I would be happy to elaborate on if this is the pass you are OK to go for. Alternatively, she could apply to study in Malaysia. I believe there are passes that allow students who study in Malaysia to stay on and work. We are a married couple in our 30’s with a baby daughter and are in the process of applying for the MM2H Visa. In a few years I may consider applying for a sponsored work visa to teach in Malaysia. Do you know if it is possible to switch between the two visa’s, and can I later return to the MM2H Visa? If you would like to apply for a work visa in Malaysia, you would have to relinquish and terminate your MM2H Visa first (please be informed that your dependents’ visas under MM2H will also be terminated). Your dependents may still apply for their dependents passes under your work visa. Upon completion of your work, you may reapply (fresh application) for the MM2H visa once again, provided that you fulfil the MM2H requirements then and of course, it would be at the sole discretion of the MM2H committee. Thanks Sam, really appreciate your help! I’m considering applying for MM2H visa, and meet the current requirements. I’m a dual citizen of NZ and Australia – born in NZ, but living, working and have citizenship in Australia for many years. I use my Australian passport to travel, including entering into Malaysia. For dual citizens does it matter which passport/nationality they use in applying for MM2H? I see the form asks for country of birth (and know Malaysia does not recognise dual citizenship for Malaysians). NZ and Australia do recognise dual citizenship with each other, just wanted to check if it could be a potential problem using Australian citizenship/passport when applying for MM2H when I list my birth country as NZ. Great question. We don’t recognised dual citizenships for Malaysians as you point out. As for our MM2H applicants, my advice would be to choose a passport and use that passport for the application as well as coming in an out so as not to confuse our immigration. i am 52 years old and currently reside in the US. I have been seriously considering applying for MM2H visa. At present I do have US $ 600000.00 in my saving account. I will not be able to show RM 10000.00 monthly income as required. So my question is what are my options in the absence of proving the monthly income. How short are you from the RM10,000/-? Is there income from interest off your savings account? What other sources of income do you have? Maybe email me privately at Sam@ckylegal.com if that’s more comfortable and we can chat in depth to see if you qualify. I am a US citizen thinking about coming to live in Malaysia. I think I could qualify financially for MM2H without any problem. I am currently 69 and would probably be 70 before I could make all relocation arrangements in the US and apply for the MM2H visa. My health is very good and I have US Medicare coverage but it doesn’t apply in Malaysia. From what I see on various websites about available health insurance plans to meet the MM2H requirements, I may be too old. Is there an upper age limit on eligibility? Anything you could add about insurance requirements and availability would be helpful. Applicants above 60 years old are not required to show an insurance coverage to qualify for MM2H. Of course, if you have one, it would be good, but either way is fine. Hope that assists. I have a question in relation to income requirement which is currently at RM 10,000 per month. Currently, I should meet the financial criteria for MM2H application. However, my concern is about renewal every 10 years: assuming a successful application this year, will I be automatically renewed 10 years later? or will they re-examine my financial position upon renewal in the future? The problem is 10 years later, I will probably be enjoying early retirement but not old enough to get pension. Therefore, upon my first renewal, I will have no monthly income anywhere close to RM 10,000. Even by the time I will get pension (expected to be around 15 years from now), the amount will probably not meet RM10,000 or any level they might see in the future. I’m over 50. I am planning to retire in a couple of years. Is it too early to apply to MM2H now? Should I wait till I retire first? I don’t have the cash requirement now. However, after I retire, and withdraw some money from my retirement saving, or sell my house, then I will meet the cash in the bank requirement. Or would the MM2H program consider retirement saving as ‘cash in the bank’? My pension after retirement would meet the monthly income requirement. I am just not sure if I should wait till have transfer cash from my retirement account or wait till I retire before I apply for the MM2H. Thanks. As financial requirements are rumoured to be increased soon, we do encourage that you apply sooner rather than later. In respect of your retirement savings, my colleagues will drop you an email and send you some information on MM2H. Would you also have an income for RM10,000 or equivalent a month? My colleagues will drop you an email soon with some information. I’m over 50 and plan to retire in 10 years and then stay in Malaysia for whole retirement life. My question is related to the valid medical insurance coverage. What will happen if I am not able to obtain a valid medical insurance coverage during the renewal process due to age issue? Can you share any successful exemption case? Currently the MM2H guidelines do not require you to have insurance if you are over 60 years. Of course, it might be prudent for you to have insurance as most insurance companies will insure you past 60yrs. The MM2H guidelines are likely to evolve in 10 years so do bear this in mind. I’m wondering! We’re there any changes made to MM2H regarding financial requirements or fixed deposit? Are you expecting and policy changes soon? We’ve heard of the changes coming up, but it has yet to be implemented so far. What we’ve heard is maybe May/June 2018. We cannot say for sure at this point how it will affect current applications pending approval. Sam. After submitting my MM2H application, does MM2H authority still do the bank verification and check the applicant’s bank records directly with the applicant’s bank?. Mind you, banks in my country do not allow to be contacted by third party regardless of the reasons. Yes, MM2H might verify with your banks, as when you submit your application forms, you would have signed a letter authorising MM2H department to contact your banker(s) and/or employer for verification of funds and/or employment. I am over 60 years old living in US. If I am approved for mm2h, am I qualify for the Malaysian senior citizen discount offered by many Malaysian government and private organizations? Thanks for the question. I’m afraid I can’t answer your question fully as there are so many services which allow consumers of a certain age some concessions. For sure you will be able to enjoy some concessions although some may only be available to Malaysians. Thanks for your prompt reply. As you can infer, the fact that I ask such a mundane question shows my high level of interest in traveling and staying in Malaysia for an extended period at a time. Hi Sam. Thanks for your willingness to answer questions. I am under 50. If I prove 500,000 in liquid assets for the past 3 months, once approved, can I use some of that money to move it to Malaysia banks for the 300,000 rm fixed deposit or does it have to be additional new money beyond the 500,000? Not sure how they would check that after you have their initial approval and proved it was there for 3 months. Your questions keep us on our toes and it gives us a clue as to what clients need back up on and helps make my responses user friendly. To me, the main bar of entry to MM2H is the financial threshold. To answer your question, you would be able to place the fixed deposit of RM300,000 from your RM500,000 liquid assets funds in the event you are successful. The Malaysian immigration would have the authority to verify funds with your bank/financial institution after your submission as you would have signed a authorisation letter to allow them to verify. Hope this helps you. Hi Sam, I received my MM2H conditional approval letter dated 8 Feb 18, I noted the MM2H committee meeting (no.21/2027) render my application approval was held during 20 December 2017, unfortunately the immigration letter stated the approval was dated as 15 January 18. Do I still able to benefit from the car duty exemption? Knowing that the submission cut off date to MOF is until 31 December 2018. Thank you for your question, unfortunately, you do not qualify for the exemption as Ministry of Finance’s ruling states that the effective date would be your date of issuance of your MM2H visa, rather than the date of the letter of approval or the MM2H exco meeting. Hello Sam! I am thinking of applying for MM2H soon and have a few questions. 1. I am married and most of the assets are jointly owned including joint bank accounts – will it qualify for liquid assets of mine (assuming that the amount is right)? 2. Income of RM 10000 – is it ok if part of it will be from my remote job (I work from home) or it must be from some other sources (is there a list of such ‘legal’ sources)? 3. Some of the incomes are in different countries (USA, Russia, Germany) – is it ok to combine them to show RM 1000o monthly overall? 1. Would it be right for me to say that you would be applying for MM2H with your husband? You can use the joint bank accounts to show the financial requirements if either of you apply as applicant and the other spouse as the dependent. 3. Yes, you may combine the incomes to make up the RM10,000 but all the incomes must have its relevant supporting documents. After obtaining mm2h visa. Can I bring a maid from my country “Myanmar” who is one of my closed blood? Countries permitted for maids to be brought in is subject to the discretion of MM2H department, but we believe it is possible. 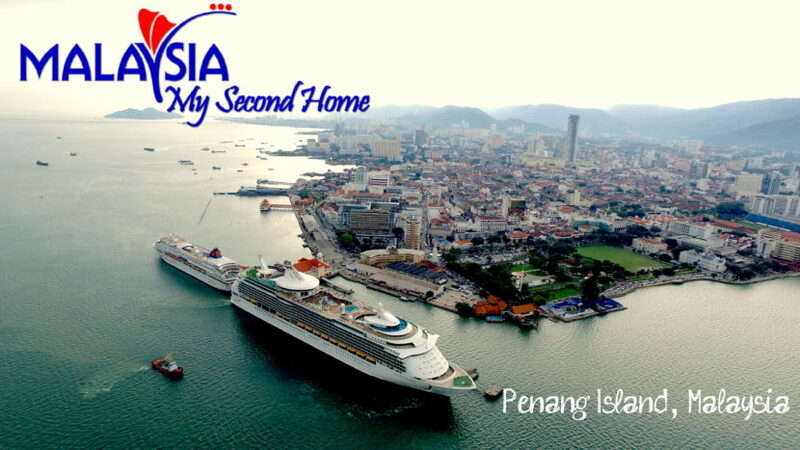 I have recently obtained mm2h visa and I have plan to reside in Penang very soon. My eligibility to purchase residential property is RM500000. But I have found that RM 300K. Is it possible to buy this apartment or should I need to meet requirements? I’m not sure that I understand your question exactly. I think you are asking if you are allowed to buy a property under RM500,000/- in Penang. Unfortunately, you’re not able to buy a property under RM500,000/-. Hope that helps. I am a Singaporean nearing 60. I love Malaysia very much for its charm. My wife and I recently bought an apartment in JB as a weekend or holiday home. As we are able to travel in and out of Malaysia easily by car, we may not really need a long term visa. Could you share in what ways the MM2H is still beneficial to Singaporeans like us? Are there other privileges like concessions given to MM2H holders and not to foreigners. I am just concerned about locking in a relatively huge sum of money as fixed deposit without apparent benefits, especially that they have taken away the benefit of a tax free car. Hi Malcolm! Well done on your purchase of the apartment in JB. At the moment, we understand that Johor vis-a-vis Singaporeans coming in and out is the exception to the usual strict immigration rules. As far as we know, all the other points of entry have recently been restrictive to most nationalities (including Singaporeans as Singaporeans have only 1 month visa at a time) coming in and out (visa runs, etc.). We understand the fixed deposit entails the tying up of cash. Do note that it is in an interest bearing account. Currently, there are no other advantages if you have able to continue enjoying multiple entry. The only thing to look out for is in the event that Malaysian Immigration at Johor tightens up its freedom of entry to Singaporeans. I applied for the MM2H on 21 September 2017. When I applied I was under the impression from reading the MM2H website that the requirement for a fixed deposit of Rm150k was not required for applicants over 50 years of age, have RM350k financial assets and income of RM10k per month. My application has been approved and I am shocked to read that I am required to place a FD of RM150k in Malaysia. When did the requirements change? Doesn’t the T&Cs relevant at the time of the MM2H application applies? Thanks for your question. Did you apply on your own and which website have you been referring to? I’ve been advising on immigration for over 10 years and as far as I can remember, the post approval fixed deposit has always been a requirement, whether the applicant is under or over 50 years. For the under 50 year applicant the mandatory fixed deposit is a lot more. If it’s any consolation, interest is payable on your fixed deposit. If you still wish to continue with your application, it would be advisable to place the RM150,000 fixed deposit within the requisite timeline as the financial threshold is set to be increased shortly. Thank you Sam for your response. I applied on my own. I applied under the over 50 yo and government pension category where I had to meet the financial asset requirement and the government pension of RM10k per month. I am not sure the exact webpage I read but it was definitely an official MM2H website. Hello Sam. Appreciating your sincere efforts. Today, while checking my application status, I noticed that my status changed from “Pending Committee Approval” to “Pending Immigration Approval”. So I am wondering if that should be considered as good news for me!. And considering that my application was submitted 6 months ago, does that mean I still have to wait for many more months for the immigration approval too?! Hope not!. Congratulations on clearing the first hurdle, George! As a lawyer I should not and would not be able to comment on the chances of your success as the ultimate discretion rests with the authorities when it comes to visa approvals. All I can say is that there has been a back log and a 7 month wait is not unusual. I believe you’ll have the results soon. All the best! I had the “Pending Committee Approval” status for months and it never changed to “Pending Immigration Approval”. This was the case right up to my receipt of the Conditional Letter of Approval. First of all, thank you for your invaluable advice and answers which, I am sure, are greatly appreciated by all potential MM2H applicants. However, I’m not sure I’m going to be one (of those applicants) because my wife is a Malaysian! Due to my work, we have moved and lived around the world for many years. Now I’m close to 60. Both of us love Penang, the culture and the people there (both the locals and the expatriates). So, we will definitely retire there. We like the place so much that my wife has bought an apartment on her own (fully owned) and another one jointly with me (mortgaged). My first question is whether I should apply for an MM2H visa. With a Malaysia spouse, is it actually easier if I apply for a dependent visa? Do you know how dependent visas work in Malaysia, e.g., multiple entry for 5 years? My second question is, if I apply under the MM2H scheme, can I use her apartment to reduce the amount of fixed deposit to be tied down? I am thinking to myself: if my wife is not Malaysian we would be applying jointly, and I suppose her apartment could serve this purpose. But she is Malaysian, so it makes no sense for her to come under my application. Grateful for your advice and views. Thanks! Thanks for your comment! I’m pleased that my advice has been of use! As to your question on which visa, you have two options as to which visa to apply for. The first option as you correctly pointed out is the spousal visa and the 2nd option is MM2H. In a nutshell, the spousal visa requires you to personally go to the immigration department numerous times to renew the pass. Usually the immigration grants the spouse a short visa of a few months and this slowly extends to a longer period. This is totally discretionary so I have seen clients get 3 months to 6 months on the first application to 1 year on the second and working its way to a longer period subsequently. Recently, a client had a shorter period given compared to the previous period. As for whether you can use your wife’s property to reduce the fixed deposit under lien were you to hold a MM2H pass, the answer is no. Hi Sam, I am not sure if I should have replied to you using the Reply button at the top. Just in case I should Leave a Reply, I will respond again. Thank you again for your response to my earlier query and also for maintaining this very informative blog. In answer to your question, I applied on my own. I applied under the over 50yo and government pension category where I had to meet the financial asset requirement and the government pension of RM10k per month. I am not sure the exact webpage I read but it was definitely an official MM2H website. I have since went to the MM2H website and the announcement was only recent that those approved under the government pension option has to comply with the RM150k fixed deposit requirement. I was not aware of this impending change when I applied for MM2H in 2017. I regularly emailed the MM2H Centre during my application process to check on status. At no stage was I advised that the rules were going to change. I was advised that my application went to Committee in Jan 2018 and it was just waiting for Immigration approval. Very frustrating that the terms & conditions are changed during the process. I guess this is the Malaysian system and there is nothing we can do about it. I am in my mid-50s and have been retired for some years now. My interest/dividend income is less than RM10K/mth but adequate for a single retiree.. Although I have ample liquid capital, I’m loathe to invest more funds in the markets just to meet the MM2H income requirements as I’m a conservative investor. Alternatively, I’m thinking of taking on contract work now (say for 6mths) and using my salary (which will be above Rm10K/mth) from this to meet the income requirement. Does the temporary nature of the employment affect my chances of being successful in my MM2H application? If its not acceptable, I wouldn’t bother to return to work. I will just wait until I turn 60yo when I can apply for MM2H under the proposed changes whereby there is no income requirement of Rm10K/mth. Thanks for dropping by and for your question. There are other options to prove income of RM10k per month, such as possible rental income or a pension maybe? You would only have to show maybe 6-9 months of the income being deposited into your bank account until your MM2H application has been approved. You may take on contract work and utilise this to meet the income requirement, provided that you have sufficient supporting documents to prove the income received. You would have to wait till you have collected 3 months’ worth of bank statement which shows the income being deposited into your personal account to proceed with submission of your MM2H application. Subsequently, you would have to maintain the monthly income until at least until approval of your MM2H application, and this might take longer than 6 months so would recommended a longer tenure for your work contract. Also a thought that if you wait for the proposed changes to be implemented, that there will be a higher financial requirement at submission and higher amount for the FD tie-in upon approval. Hi Sam, I am a foreigner from Sweden, am currently living and working in KL with my (employment pass) work visa. I’m planing to retire by 1/1/2019, which means my employment termination date is on the 31/12/18. Can I proceed NOW for the application of MM2H visa for me and my wife while living here with my current employment pass visa status here? I would be greatly appreciated if you could give me some advice. MM2H does not allow you to hold 2 Malaysian visas at the same time. So, you may proceed to apply now, but once your MM2H application has been approved, you would have to relinquish your employment visa in order to have your MM2H visa endorsed, which must be within 6 months from the letter of approval for your MM2H. If you need any further advice, feel free to drop me an email at sam@ckylegal.com. Thank you so much for the quick reply. May I know how long does the application process take? Previously, it usually takes 5-7 months from submission to receive the results. Hi Sam, great write-up and great thread on this page! Does one have to declare any of the above (even if there is no tax payable in Malaysia)? Finally, I saw mention that “overseas income” is not taxed under MM2H. If you held shares at a brokerage in Malaysia, would the dividends or capital gains be taxed? Thanks for the questions. Firstly, I have to say I am not a tax expert so you should pose these to a tax accountant. I can, of course, make the referral if you need one. As far as I am aware of, there’s no gains tax on sale of quoted shares nor is there tax on dividends and fixed deposit interest for individuals. Hope that helps. Thanks for starting such informative thread. I bought a property in KL some 5 years back priced over RM1.0 million as a foreigner. The property is a new development and expected to be handed over this year. I am thinking now of applying for the MM2H but want to know if the fixed deposit requirement of RM300,000 (for applicant below 50 years) can be reduced to RM150,000 on the basis of this property. Secondly the MM2H official website states that applicants “Must show evidence of ownership and full payment of the property”. Would property bought on mortgage exclude, for which repayment is still being made, exclude the criteria of ‘full payment”. Appreciate your response and help on this. How are you doing… Properties which are mortgaged (not fully paid up) cannot be used to reduce the MM2H fixed deposit requirement. Hope that helps. Does this work for Singaporeans who may want to retire in Malaysia? I probably can meet the financial requirements of 350K RM and then maintain a 150K RM FD for the duration of 10-years. I think this is not considered a second citizenship. Do you have much experience helping Singaporeans retire in Malaysia? I am keen on Penang. I am over 50 years old. Thanks for your comment. Yes, you would be able to apply for MM2H to retire in Malaysia, as long as you meet the financial requirements. MM2H is a long stay visa and not a citizenship. We have assisted some Singaporean residents to successfully obtain their MM2H visa. Do let us know if we can assist you as well. I’m interested in purchasing a property/s for Malaysian relatives to live in under this scheme, however I would like the house to be registered under my name. I’m under 50 and will not be living in Malaysia for the foreseeable future. Is it possible to apply for the MM2H visa without any intention to reside in Malaysia, apart for the periods in which I’m searching for and buying property? Once purchased (fully or with ongoing mortgage), can I withdraw all remaining deposit money (my understanding is that this would be a sum between RM150,000 to RM300,000) from my Malaysian bank account? Will that mean my MM2H visa will no longer be valid but I can still continue to make mortgage repayments or own the property outright without any issues? My intention is to purchase property for relatives (under RM1million each – which is why I am interested in the MM2H program where the minimum property price requirements are lowered) and to stay in Malaysia for short term holidays and therefore do not require a long term visa. Firstly, yes you are able to apply for the MM2H visa without residing in Malaysia. On top of long stay, MM2H also allows its participants multiple entry into Malaysia for the said 10 years. Secondly, when you are a MM2H participant, you are then allowed to withdraw a part of the FD deposit (up to RM50,000 for over 50 and RM150,000 for under 50) to purchase property after the first year of the MM2H visa tenure. Your MM2H visa validity will not be affected by this. Thirdly, land matters in Malaysia is governed at state level. As such, most states in Malaysia has a minimum threshold of RM1,000,000 purchase price for stratified properties. Penang allows MM2H participants to purchase maximum 2 units of RESIDENTIAL property at the minimum threshold of RM500,000 each. We have, however, heard that there might be a possibility that benefit of the minimum threshold of RM500,000 might be taken away soon. If my husband and I (59 and 55 yrs old) come to Malaysia and apply for the MM2H visa whilst we are there, do we have to leave the country after our 3 month tourist visa expires or can we stay until the approval letter is received? We want to rent an apartment in Penang and most rentals are for a year contract. Seeing the visa application is now around 6 months im worried what happens when our tourist visa expires? We can apply from here (South Africa both also holding UK passports) but we are planning to leave here in 3 weeks. We will apply for police clearance here before we leave but it takes a month here so may not get before we leave but can courier over. Problem is that is only valid for 6 months so may also expire before the visa. Thanks for getting in touch. I am pleased you have chosen Penang for your MM2H! Unfortunately, if the approval of your MM2H is not obtained before your tourist visa expires then you’ll need to leave the country. Hope that helps. I have a dear friend of 15 years in Kota Kinabalu and to date we have never married, although she has been here and I have been there. I am 60 and on Social Security Disability in the USA, and she is 55 and collected her benefits there. I’ve checked and my benefits can still be paid if I move there, although they do not meet the RM10,000 requirement. The Yee family had bought their home in the later 70’s, which is where I would stay. The only needs I would ever need from Malaysia would possibly be medical, which, of course, I would pay for myself. Is there a way I could live out my years there, without meeting all the MM2H financial guidelines, or would I be stuck going to Brunei every 90 days? in India which are transferable. MFs are liquid assets but only need few days to transfer to bank account. I have also monthly income above 10K RM . I am over 60 years old. Is it acceptable to club my Singapore bank account and Indian MF to show the required 350K in liquid funds. I do not wish to terminate my MF’s just yet , hence my query. Thanks for your response. Could you drop us a private email to sam@ckylegal.com and we can discuss the mutual funds further? I have liquid asset more than enough to fulfilled the MM2H fixed deposit requirement but I dont have monthly income of RM10K. My insurance annuity income plus other sources total is about RM3500. Do I qualify to apply mm2h? Hi Ron! Glad to hear your interest in Malaysia. May I know what form your liquid assets take and how much you have? Is there income from other sources apart from the annuity and other sources you mention? Interest off your savings account? Maybe email me privately at Sam@ckylegal.com if that’s more comfortable and we can chat in depth to see if you qualify. You can also email me the sources of income you have in mind and we can check them out for you to make sure they are acceptable to the authorities. Could you drop me an email at sam@ckylegal.com and we can discuss your options further? I got my MM2h on 2012. I want to Know whether I can buy and do business with 100% foreigner ownership? Heard both positive and negative information regarding this so far, so I’m abit confused. Thanks for getting in touch. To answer your question, under MM2H you cannot work. This means that you cannot be an employee of a company. However you can be an investor in a company. This means that you can set up a company and be the shareholder and a non executive director in the said company. As to whether you can be the 100% shareholder, this depends on the state guidelines as to ownership of property (if you are acquiring a property for the business) as well as the industry you are in. I can work with you on this if you wish and help you structure the investment. Are you planning to buy the property or only the business? 1. My wife and myself under 50 wish to retire in 10 years time. Is it advisable to apply for the MM2H at this stage. 2. Once we move to Malaysia, we plan to do a small business to keep the income going. Is this permitted under this scheme. 3. Is there any restrictions on the value of property that we can buy under the MM2H scheme. We plan to stay in Ipoh where the house prices are in the range of 300-400K. is this within the acceptable price range. 1. Usually, we would say apply sooner the better, we never know when the financial increments will be implemented. 2. Can you elaborate further on your proposed business? Maybe drop me an email at sam@ckylegal.com and we can discuss further. 3. Property purchase in Malaysia is governed on a state level, meaning every state has its own minimum thresholds for foreigners to purchase. This may also change as time goes by. I am borned in Dec 1969. Should I apply after Dec 2019 to qualify as above 50 or can I do it in Jan next year. Thanks for your advice. There has been talks on the financial requirements being increased any time now. This also would depend on when you are planning to reside in Malaysia and if you have the financial capabilities to apply in the under 50 category. I’m wondering about taxes and fees triggered in the event of the death of an MM2H visa holder. Given that a large number of those visa holders will be retirement age, I imagine this is an issue of interest to many. Should estate beneficiaries wish to dispose of the Malaysian investments (e.g. real estate) held by the deceased and repatriate funds (from the disposal of assets and funds deposited to satisfy MM2H program requirements) to their home country, what fees, taxes and expenses should they expect? Great technical question! To give you a very simple answer, we don’t have Inheritance tax/Estate Duty in Malaysia so there’ll be little tax to pay at the time of death. We do have Gains Tax which might be triggered where the deceased owns properties. In order to minimise this, I would suggest that you speak to a lawyer on the most efficient way for your properties to be disposed and have a will prepared. In addition, each state in Malaysia has it’s own land laws. This may be relevant if the deceased has properties because the recipient of the properties will need to pay some registration/foreign ownership consent for the properties to be registered in their names. That’s the best I can do here as each situation revolves around its facts. I am happy to give you a customised response if you let me have a specific situation. You can email me at Sam@ckylegal.com. Can cash under my sole proprietorship company be included as fund proof and business income (not net profit but payments made to company bank account from clients) be counted towards monthly income? Can cash under joint accounts also be included as fund proof? MM2H requires that you prove monthly income with your personal bank account statements (despite you can prove that the sole proprietorship monies are yours). You would have to move the said funds into your personal account. Cash under joint accounts with your spouse is acceptable. my name is saima. i’m in MM2H in malaysia..i want to study in here..so can u tell me which university will not cancel my MM2H visa and give me the benefits in financially?? Unfortunately I am not able to assist as we are not linked with universities. I wish you the best. For submission of payslips (printed) and bank statements (FD statements from banks) for the MM2H application, do I need to provide certified true copies (certified by notary public), or is it sufficient if I just provide and submit the original copies (company letter and original bank statements)? As far as I am aware, you’ll need to have the copies certified. It can be certified by a Malaysian lawyer too FYI. If i’m an mm2h will i still come to malaysia as a foreigner at the airport immigration section? What represent me as a mm2h participants on my passport? Upon the approval by MM2H of your application, you will receive the letter of approval. After this, you can send your passport in to endorse the MM2H approval on your passport. You can show your duly stamped passport page to the immigration upon arrival. Thanks for your time answering so many interesting questions. I am curently waiting for the results of my application for MM2H (done 4 months ago). I am now considering moving to Penang 3 years before I retire, meaning that I will still have some professional activity (Consultant) but paid by a company outside of Malaysia,the salary will be paid outside of Malaysia and I will not have to work in Malaysia. Could you let me know if it is allowed and I will have to pay taxes in Malaysia? Glad to hear you’re choosing to retire in my home state! Under the Income Tax Act, 1967 the Malaysian inland revenue requires only income derived from within Malaysia to be taxed. I would make sure that you keep the wire advice from abroad as proof. Please do note that I am not a tax specialist so it is still advisable for you to reconfirm this advice with a specialist. If you wish to do this drop me a note to Sam@ckylegal.com and I would be happy to introduce you to one. Hi! We have received the conditional approval letter of MM2H. It’s specified in the letter that “the applicant is given a period of six months from the date shown above to obtain the pass……….” However, I notice that two dates were mentioned in the letter, one is issuing date of approval at the top right corner and the other one is approval date of the MM2H special committee. In this connection, I should be grateful for your kind advice on the date to be used as counting the beginning of the six month period. Many thanks. The 6 months run from the date of the Letter of Approval itself. Heard the mm2h applications are frozen for now. or mm2h will be totally abolished in future? have you hear of any news? At the moment, there are no changes in the requirement for the application. Currently we are in close talks with the Director of MM2H and updating our clients accordingly. but my monthly income is not in a form of dividend/policy payment, instead it is a monthly paid salary dependent upon my current employment. Can my monthly salary also be considered ‘monthly income’ for the purposes of this MM2H (applicants under the age of 50)? Happy 2019! Absolutely, your monthly salary can be considered monthly income. Hi Sam, my wife and I each have a MM2H visa issued on the same date nearly seven years ago. How time flies when you are having a good time. Let me also add that upon reflection it was a really good idea to relocate to Penang on a full-time basis. We are grateful to the Malaysian authorities for making it possible. Our passports are filling up with the many entry/exit stamps accumulating. They will require renewal before the initial 10-year MM2H visa expires. Three Q’s for you. 2. Can we opt to apply for a renewal MM2H visa instead and what is the time frame for that process. I note that renewal of MM2H is not currently remarked in the thread – it will be good to have your clarity on this aspect. 3) we understand that there have been couple of meetings yesterday and one today. Hopefully we’ll have updates soon!